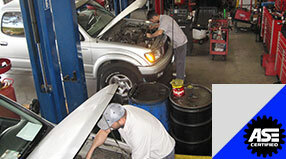 Highland Automotive was established in 1980 by Melcom Grigorian. Melcom and his son Romel have grown the family business to earn a Test & Repair STAR station license in Glendale, CA. Highland Automotive's ASE-certified mechanics have extensive training to provide the highest quality auto repair and maintenance service in Glendale, CA. 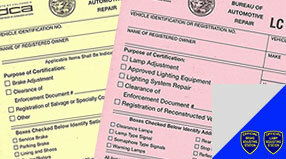 Highland Automotive is officially licensed in Glendale, CA to inspect, adjust, repair, and certify brakes and lamps to help motorists re-register a "salvaged vehicle" with the DMV. Fifteen years ago I got an oil change from Highland Auto, and I was so impressed with the hospitality and honest work by Romel and his father that I have never taken my truck anywhere else! Thank you for being so honest. You always put the customer first and use the best parts for every car repair making us not only feel appreciated, but safe as well. THANK YOU! I took my truck to several shops with no success all of them could not diagnose the problem. A friend recommended Highland Automotive, although they are an hour or so away from me. I decided to give them a try. I am very impressed with the knowledge that they have. Within 20 minutes they diagnosed my problem, and they repair was very affordable. 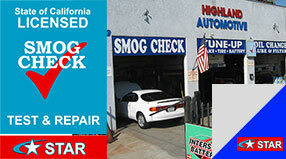 I am recommending Highland Auto to all that need repairs done to their vehicle. Very professional and affordable. Great service for my toyota and rang rover by Romel. Family owned mechanics for over 20 years. Good reliable service and professional service. Highly Recommended !